Ullapool Museum has been a great place to research information about Isle Martin in between installing my ‘Future Fossil Collection’ (which is now up and running and I am hoping to be able to post a review soon) Isle Martin’s bird reserve records and documents on the Summer Isles have given me a quick over view of the history and wildlife which I am familiarising myself with when I have a quiet minute in the van. Local knowledge as always is proving invaluable. The lists and notes are multiplying and piles of materials & tools are being put together in the van (as far as possible) in preparation for my residency on on Isle Martin where I will carry out my next beach investigation and to make my floating litter lines/rafts which will be towed back to the mainland. Some at least I hope for recycling – we shall see. With the help of John MacIntyre local ecologist, engineer and boatman extraordinaire, I was able to make my first landing on the island last Friday to assess the beach I will be mapping the litter on and eventually cleaning . 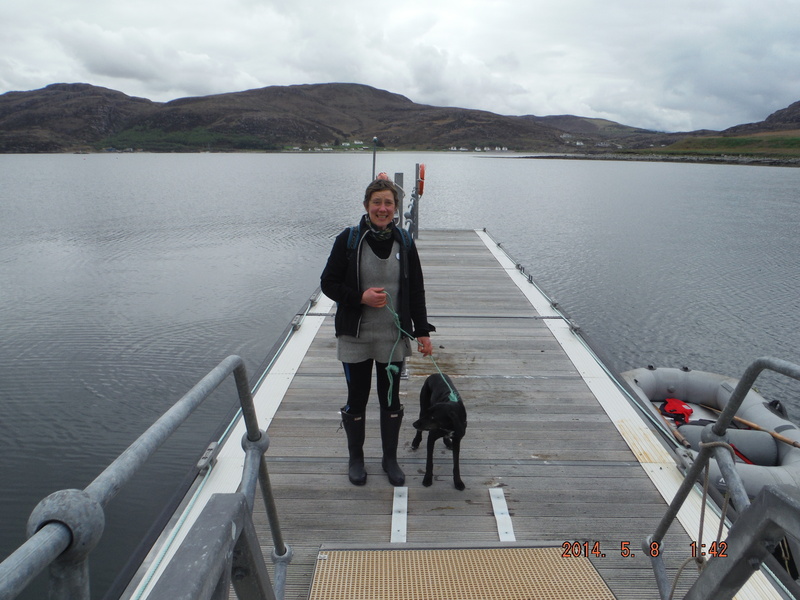 Landing on the floating pontoon was easy and a great relief for Cal, though I’m sure by the end of the three weeks she will be a true sea-dog as we will have to make the crossing a few times. 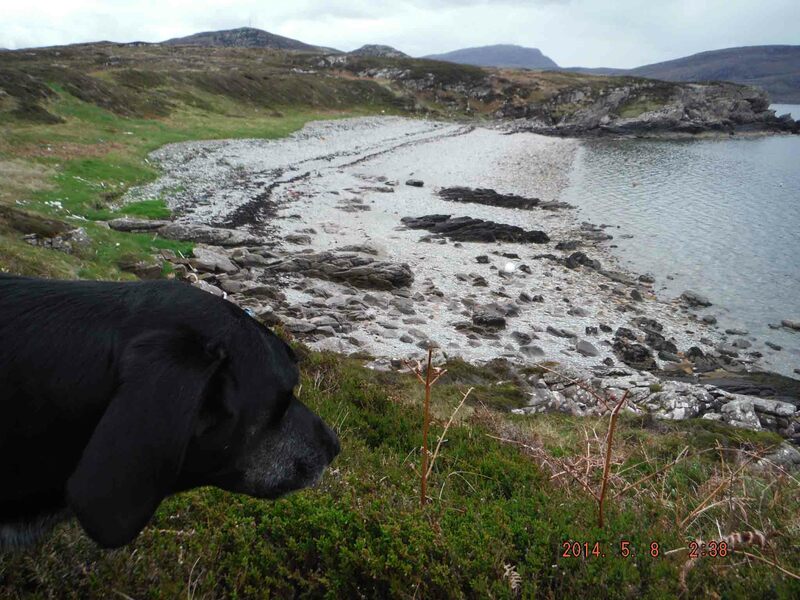 Camas a’ Bhuailidh or Back beach is reached easily after a short walk from the harbour. For analysing beach litter it is unfortunately/fortunately perfect approximately 100m long and faces SW collecting litter easily from the prevailing winds and tides. As the island isn’t habited any more and their have been few visitors over the past few years the majority of the litter I note will be washed up, an unusual and interesting factor. A quick recce along the strandline echoed many of the beach litter lists though much less carpeted with cut net pieces. 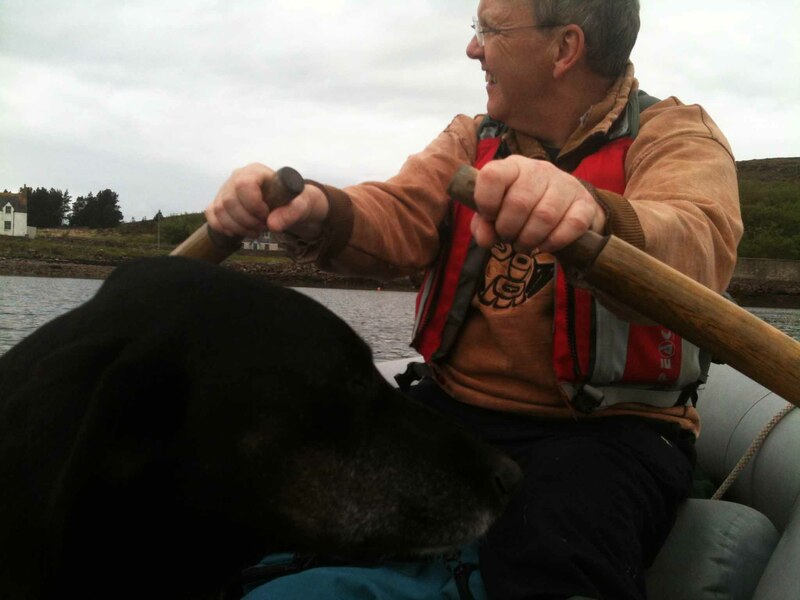 We shall see….I am hoping to paddle out to the island at the end of the week weather permitting. 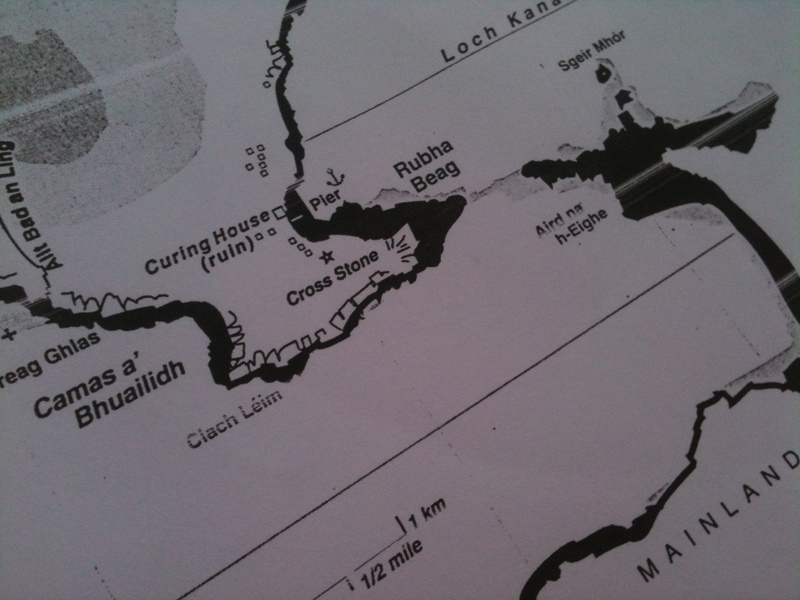 Ullapool High School pupils will join me for a days mapping and constructing on Thursday 22nd. 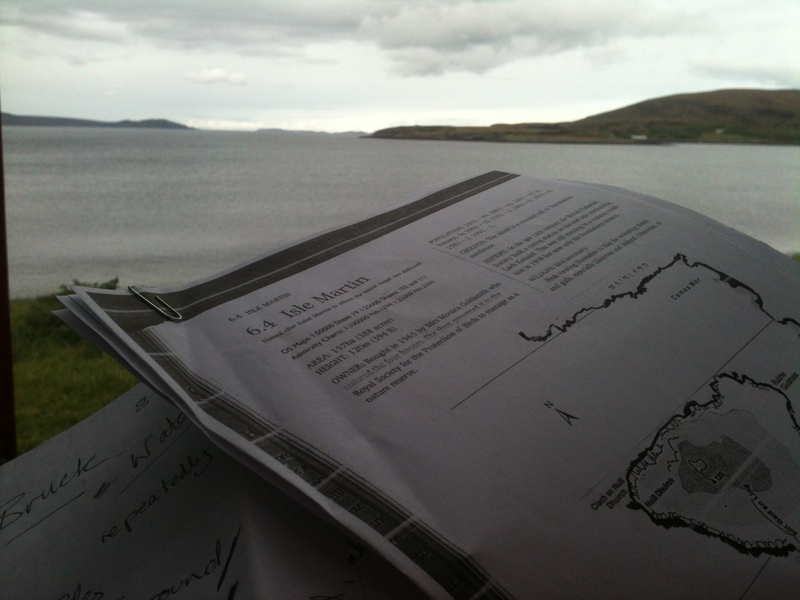 Many thanks to the Isle Martin Trust for allowing me to lake my Littoral Art Project to the Island and to Kevin Peach and Ullapool Habour Trust for agreeing to ferry the pupils to the Isle and back.